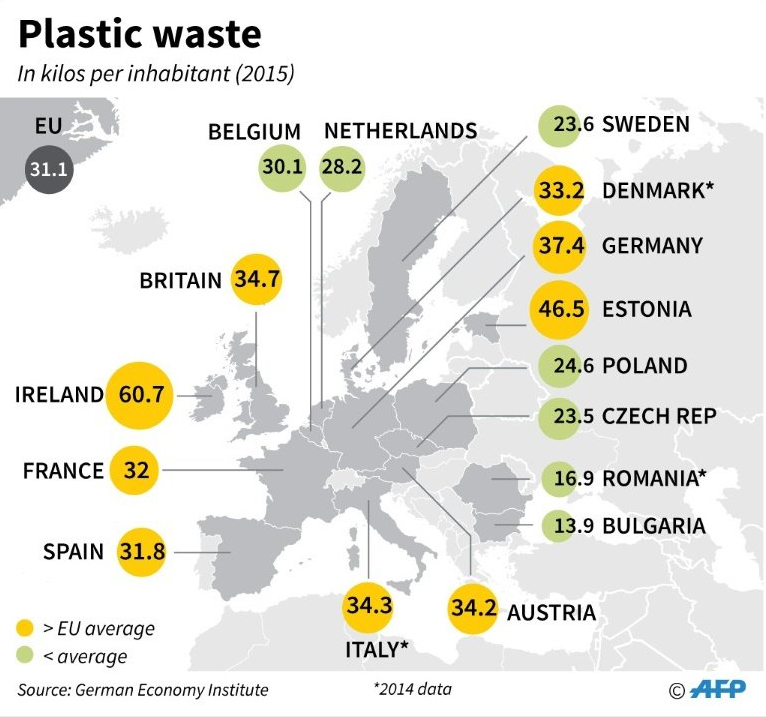 The Tipping Point: How China’s waste ban made the world rethink its rubbish | The Forum Network, hosted by the OECD: Shape ideas. Shape policy. Shape the Future. 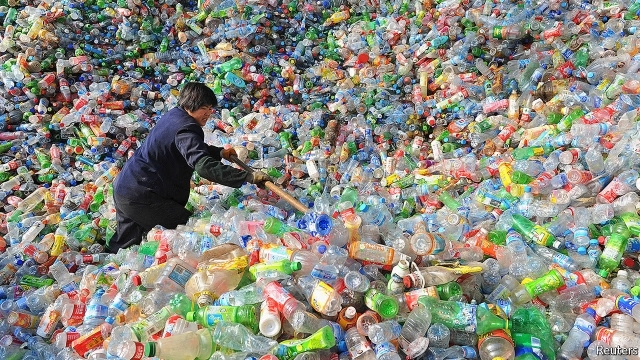 ZHAO Hui, deputy director of the Center of International Exchange at Henan University of Economics & Law, writes that in a digital age, the solution to sustainable waste disposal starts with its consumers. 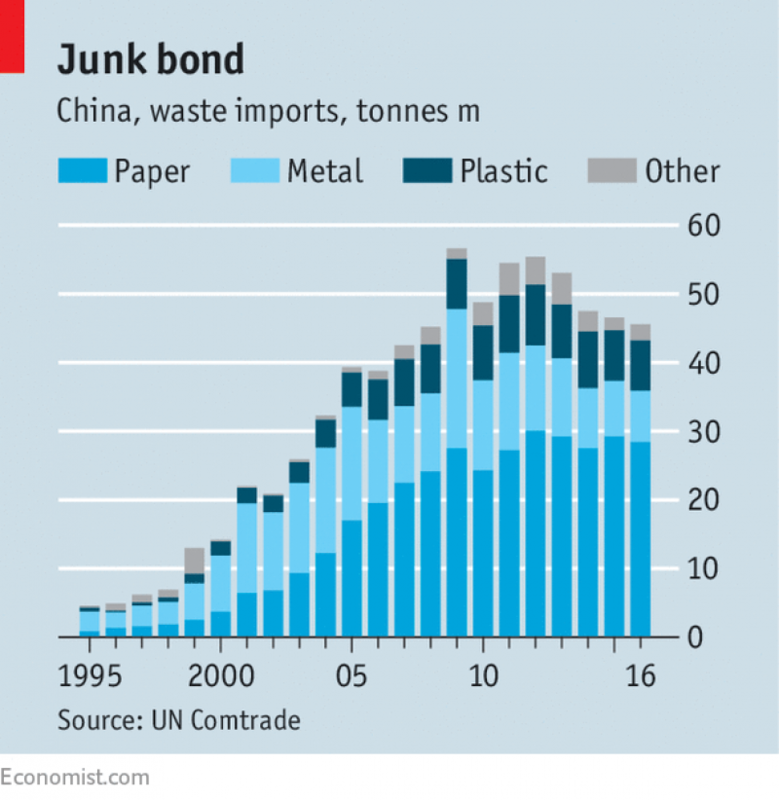 Last summer I was shocked to learn that in 2016 alone the People’s Republic of China imported 45m tonnes of scrap metal, waste paper and plastic worth over US$18 billion. The Chinese government was determined to put an end to this, and its subsequent ban on importing foreign waste materials, effective 1 January, 2018 really created a worldwide “crisis”. At the time I could not fully appreciate its significance, wondering how one national government’s policy could have such a profound global effect; as we entered into 2018, the impact of the ban was felt almost immediately. Everything was going well, and the supply-demand chain was sustainable until a tipping point when China decisively banned importing foreign garbage. The government had sound reasons for adopting such a position. From an economic viewpoint, China reassessed its overall development and made adjustments to suit the new situation. Under the concept of “the new normal”, quantity gave way to quality, and slowing the pace of manufacturing was more rational given a lower GDP. Environmentally, there are growing concerns over the toxic nature of some types of waste and the resultant pollution, contamination to air, water and soil and hazardous working conditions; China has recognised this and environmentalism and health and safety are gaining the upper hand. Complaints are coming from various directions and the consequences are felt virtually overnight. To me, the reaction of the exporting countries is rather disappointing at a policy level. Both policy makers and government officials have failed to see the underlying causes of the current problem, and do not know what to do next. As previously stated regarding its economic growth, China chose quality over quantity; policy making requires a balanced approach by taking all the necessary factors into consideration, and here this means taking no more low-grade waste, no more rubbish! On the other hand, the fulcrum is the wellbeing of the people living and working where the waste materials were destined, regardless of their fate: be it scrapping, recycling, incinerating or landfills. Today, the geopolitical and geoeconomic landscape in China is no longer what it used to be when the yang laji,or “foreign garbage” first arrived in our neighbourhood and some countries seem utterly unprepared to deal with the problem. Given the circumstances, ad hoc, passive reactions will not solve the issues because they address the symptoms and not the root causes. Facing a challenge such as the disposal of waste material should start with changing people’s mind set: not just business as usual, as is all too often the case with over-consumerism. An analogue approach to the world no longer suits the reality of the 21st century, an era of digitalisation. A comprehensive outlook, one that is both strategic and pragmatic, is necessary to deal with the challenges ahead; and waste disposal is no exception. This text is a summary of various speeches made by President Xi Jinping on behalf of the Chinese leadership, notably his report to the 19th National Congress of the Communist Party of China on 18 October, 2017.